Today I'm here to give you the scoop on common "hair hacks" that have been proven to be incorrect and even damaging to your hair. That's right, some tips that you may have read or heard of are actually bad for your luscious locks. We will take a look about what scientists have said and what is actually healthy for your hair. Myth #1: The dirtier your hair is, the faster it will grow. FALSE. First thing, EW. Second, wash your hair ya nasty. Although less washing and styling gives your hair fewer chances of breakage, it hasn't actually been linked to your hair growth rate. This myth will only give you greasy, smelly hair. Your hair is healthiest when it is cleaned and conditioned and full of moisture. By allowing your hair and scalp to get dirty, your pores in your scalp get clogged and stunt its growth. So don't wait until your hair is as greasy as a slice of pizza, maybe just wash your hair every other shower. Myth #2: Shampoos stop working. FALSE. There is actually no evidence to prove that your hair will get used to a shampoo and its effects will stop working. Switching shampoos constantly is actually counterproductive and will make things worse. Different shampoos have different chemical makeups. By switching constantly it will alter the PH balance of your hair too quickly and will actually cause your hair to break easily and may actually give you a dry itchy scalp. Myth #3: Natural oils are good for your hair. FALSE. Although oils like Argan Oil actually help restore hair, most raw food ingredients that are used to "restore hair" actually do nothing but lay on your hair and make it look greasy. Ingredients like avocado oil, coconut oil, and honey are actually incapable of penetrating into your hair shaft to actually make any difference. They will also leave a sticky residue making your hair look dirty. For oils that actually help your hair, look for products with Argan Oil and Jojoba Oil. Myth #4: The more shampoo suds, the cleaner your hair. FALSE. Although we may associate suds with the cleanliness of your hair, this is not actually the case. Foaming action is not a sign of your shampoo working overtime. Those bubbles and suds are actually a byproduct of harsh chemicals that can be found in some shampoos. These chemicals can strip the hair of necessary nutrients and actually make them brittle and prone to breakage. Although bubbles are fun, lack of bubble in hair cleansing products doesn't mean your hair isn't being cleaned. Myth #5: Split ends can actually be repaired. FALSE. Once your hair has split, the only way to repair your hair is to cut it off. Many products claim to "mend" your split ends and put them back together but that actually isn't possible. The key to fixing split ends is to prevent them in the first place with proper hair care. This includes regular trims, careful styling, and ensuring hair ends stay healthy and full of moisture. Also, make sure that you are performing a hair mask at least weekly to deep condition your hair. Myth #6: Silicones are damaging to your hair. FALSE. Some companies pride their products on being silicone free because they state that they are damaging to the hair, but this is actually not the case. Some of you may be programmed to avoid shampoos and styling products that contain silicones because you think they will weigh down your hair. They can actually be good for your hair, especially when heat styling. Silicones are great for moisture retention in your hair and adding shine, as they help to seal the hair cuticle. Silicones can also help protect against color fade, frizz, and will help to reduce heat damage. The silicones actually wrap around each hair follicle protecting them from environmental damage from heat and humidity. Myth #7: You need to brush your hair at least 100 times daily for it to grow. FALSE. Contrary to popular belief, brushing your hair this amount of times is excessive and actually damaging to your hair. Although combing or brushing your hair is great to move your natural healthy oil from your scalp to the rest of your hair, doing it 100 times daily can actually start to split your hair. Only brush your hair when it's knotty, otherwise, leave it alone. Brushing your hair too often and too much will weaken your hair shafts and pulling too hard will lead to breakage. A soft brushing can help stimulate and spread your scalp’s oil on your hair. Myth #8: A flaky scalp means that you have dandruff. FALSE. 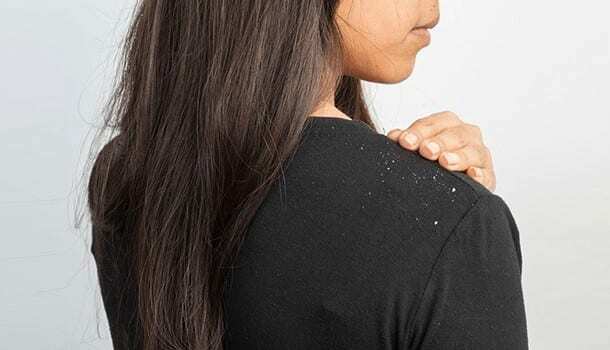 Don't automatically assume that you have dandruff if you have white flakes or an itchy scalp. Dandruff shampoos can actually make your flaking worse. For those of you that don't know what causes dandruff its this. Most commonly, dandruff is caused by a type of yeast that thrives in an oily environment. When you produce an excess of oil from your scalp this is the perfect environment for this yeast to thrive. A flaky scalp may mean that your scalp is dry and is in need of moisture. Start by exfoliating your scalp and then make sure that it is moisturized with the proper products. If you do actually have dandruff, make sure to pick up a medicated dandruff shampoo. Myth #9: Washing too much makes your hair fall out. FALSE. When showering, when people see hair in the drain they immediately freak out and think that they need to wash their hair less to not lose the hair. Truth is, people use an average of 20 to 100 strands of hair daily, and this is not caused by washing your hair it is just natural. Shampoos with harsh chemicals can strip your hair of its natural oils but that doesn't have any correlation to hair loss. 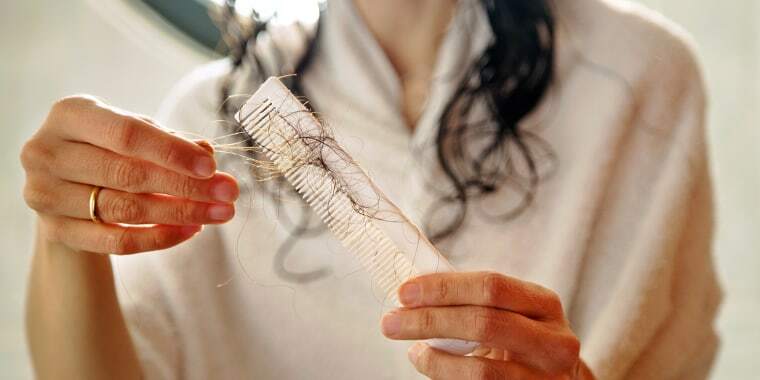 By not showering enough you can actually clog the root of your hair which will lead to more hair loss. Myth #10: If you have oily hair you can't use hair oil. FALSE. Regardless of the greasiness of your hair, hair oil has many benefits for everyone. Hair oil is great for smoothing your hair, getting rid of frizz, and adding shine. The trick is to put it in the right place. When using the right oils that penetrate easily into your hair, it can add shine and elasticity while also restoring the moisture in your hair. If you have oily hair or dry hair you still shouldn't put any hair oil on your scalp. As I've said many times before, your scalp produces its own oils for your hair, so adding oil just makes it greasier. Start by applying the oil midway down your hair shaft and to the ends of your hair. Keep in mind, the ends of your hair are the oldest and need to be treated with the utmost care by adding needed moisture. Myth #11: Color-treated hair is unhealthy. FALSE. Although bleaching or lightening your hair in certain ways can definitely damage your hair and leave it more brittle because you are actually stripping the follicle of color and nutrients, adding color can actually be good. By adding color this actually adds thickness to your hair and makes your hair look fuller and healthier. Regardless of the color, make sure that you take proper care of your hair using a hair mask to add the needed moisture back to your locks. Myth #12: You have to wash your hair every other day. FALSE. Stop following the rules of everyone else, and actually pay attention to your own haiEveryone'snes hair and bodies are different and produce oil at different rates based on your internal composition. Pay attention to your hair, if it's greasy, wash it, if its dry, deep condition. It's as simple as that. Myth #13: Stress causes greying. FALSE. Greying is determined by your genetics. The way that grey hair forms is by the amount of melanin in your hair. As you age, you produce less melanin which makes your hair appear grey, or white if you are producing no melanin. Stress can cause your hair falling out though. That being said, if you have grey hairs coming in, don't pluck them oil because that will just expedite the hair loss process and may cause scarring on your scalp. Myth #14: Wearing your hair up too much leads to hair loss. FALSE. A simple ponytail or updo is healthy and safe for your hair. Once you get to the tight braids, top knots, and hairstyles then that's when you start to rip apart your hair weakening the hair and making it more prone to damage. Myth #15: Going outside with wet hair prevents frizz. FALSE. It's actually quite the opposite. After your hair has long exposure to the water, it actually experiences hydral fatigue which fills your hair with excess water. By putting your hair through this every day it will weaken your hair leading to breakage, more frizz, and other signs of damage. Expect your hair to puff up once it dries. 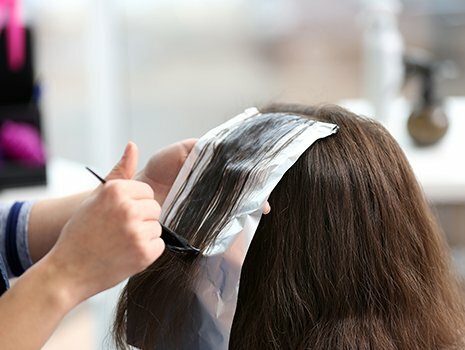 Now we have hopefully helped you debunk some of these common hair myths, so make sure that you take proper care of your hair and actually do your research before making an assumption about something.